How do I move songs from iTunes to iPhone? Most of the people use their phone to listen to music. And since iPhone has a brilliant music player, the iOS users prefer having their playlists and songs in their iPhone. People often store the big list of songs in iTunes. But it is not possible to roam around the city with earphones plugged in your laptop. Thus, moving songs from iTunes to iPhone is the right thing to do. But do you know how to move songs from iTunes to iPhone? If not then don’t worry, it is not that complicated. Here we are going to help you to transfer the songs from the iTunes library to the iOS devices. Once you learn how to move the songs without any trouble, you won’t have to worry about losing the files either. The first tool that should come into your mind to move the music files is iMusic. Not just because the application is a complete music manager, but also it has various sub-tools that are far more useful. Before you learn how to move songs from iTunes to iPhone, it is vital that you understand why you should choose iMusic over iTunes. When you transfer the files using iTunes, the already existing files gets deleted and new files take its place. But iMusic can prevent that from happening. This software can easily move the songs from iTunes to iPhone without deleting the already existing files. Backup and Restore iTunes whenever you want. Fix Entire iTunes Library as the software has the tool to clean up the dead and broken music files from the iTunes library. Transfer files between iOS device and iTunes along with Android device support. Browse and download music files from over 3000 music sharing sites. 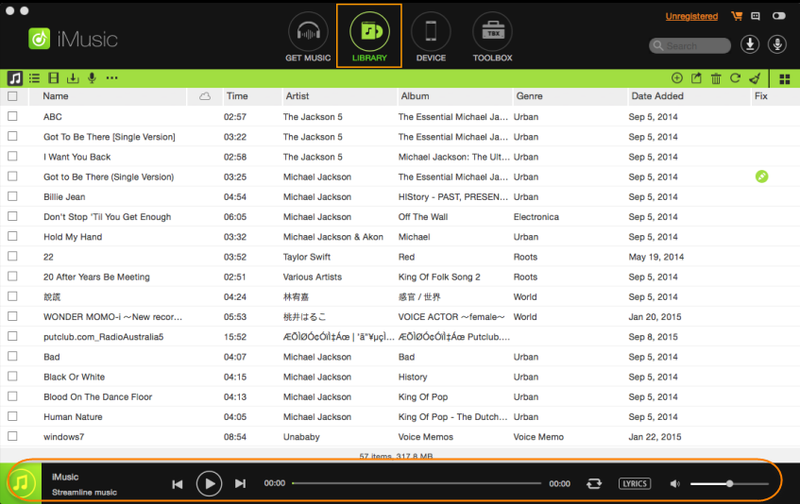 Record songs and playlists with ID3 tags such as artist name, song title, year, genre, etc. 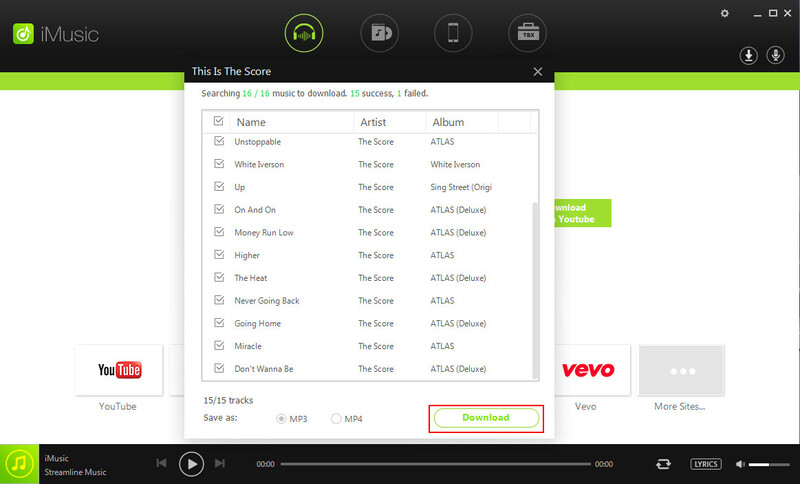 You need to begin with downloading the iMusic software from the official website. It will take a few seconds to download and install on your computer. 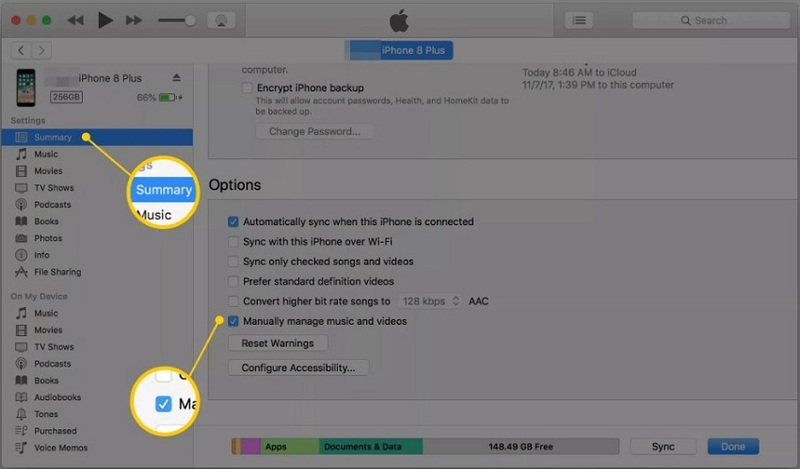 Once the software is successfully installed, launch it and connect your iPhone with the system.At first, you will be prompted on your iPhone to trust the computer. Tap on the “Trust” icon so that the software can access your iPhone. 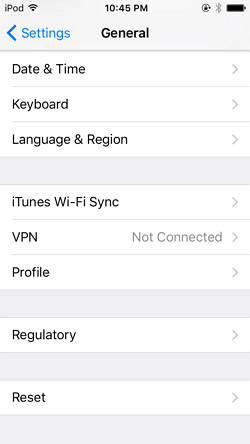 Once you allow the software to access the iPhone, its information will be displayed in the Device tab along with some options. Among them, you have to choose the Transfer iTunes Music from to Device option. On the next screen, you can choose the file types that you want to transfer to the device. Then click on the Transfer button at the bottom right side of the interface and all files will be directly transferred to the iPhone. If you prefer to perform a selective transfer, then you can do that too from the music library. Just click on the music icon and all files will be displayed on the screen. You can further filter the files to choose from playlists, podcasts, audiobooks, etc. Select the files which you want to move and right click on the files. You will see the Add to option which further provide several options. Choose your device name and the selected files will be imported into your device. You can also click on the share icon and then export the selected files from your iTunes library to iPhone. The good thing is that the transfer won’t cause you to lose your data that was already present on the iPhone. So, don’t wait and try the iMusic all-in-one music management tool. The iTunes application is designed especially for iOS users. Thus, there is no doubt that it has every feature that an Apple user will need. Therefore, it is important that you know how to move songs from iTunes to iPhone and the other way around. 	Albums, songs, movies, TV shows, playlists, audiobooks, podcasts, etc. 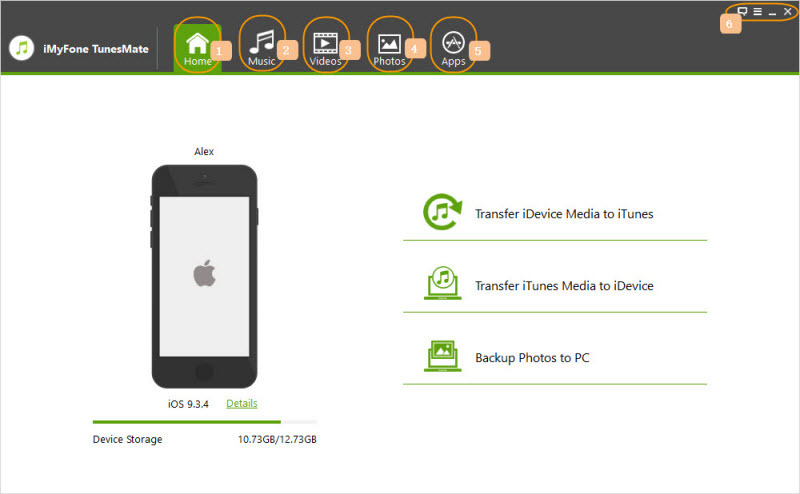 	Device Backup made using iTunes. 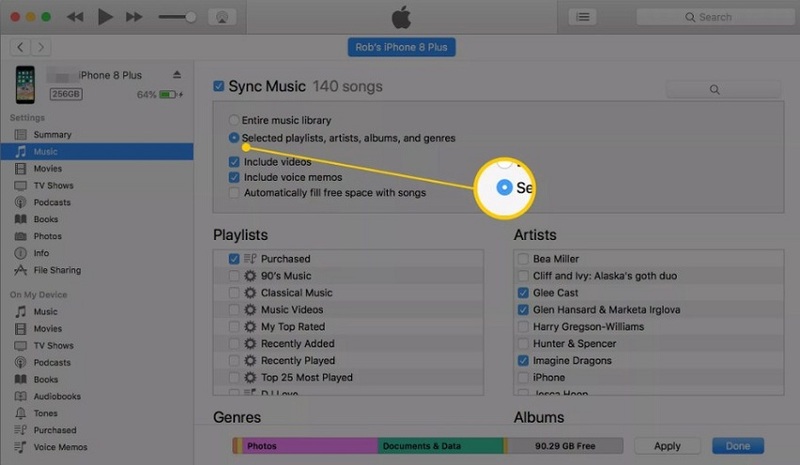 Guide for How to Move Songs from iTunes to iPhone without Any Trouble. Step 1 : Connect your device with the computer and launch iTunes. 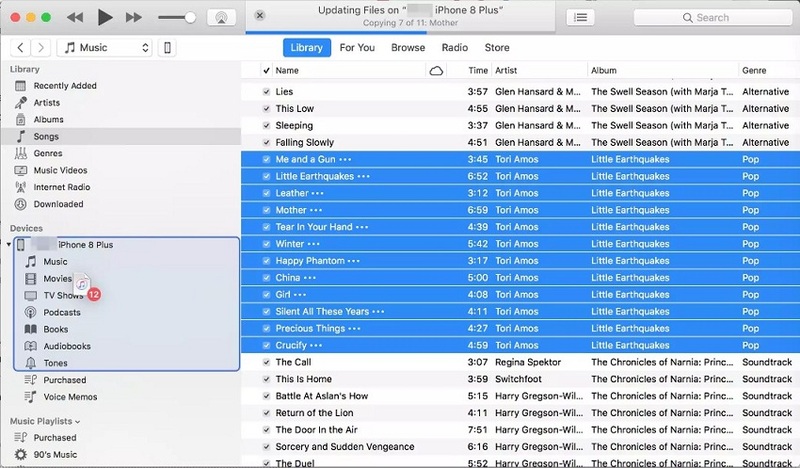 Before you try transferring the music files, make sure that you have the latest version of iTunes installed on your computer. Step 2: As the device is recognized by iTunes, you will see a small device icon in the menu bar. Click on it and by default, the Summary tab will open up. Tap on the music option on the left side panel to switch from the Summary tab. Step 3: This will highlight a big Sync Music option on the screen. You can further customize the auto-sync option to transfer the files. If you want to filter the sync, then you can select only certain songs from the library by clicking on the Radio button. You can easily scroll down and click on the stuff that you want to share. Step 4: Once you have specified what you want to transfer to the device, all you need to do is to click on the Apply or Sync option at the bottom of the interface. As you tap on the button, automatic sync will be initiated and you will have the songs on your iPhone. 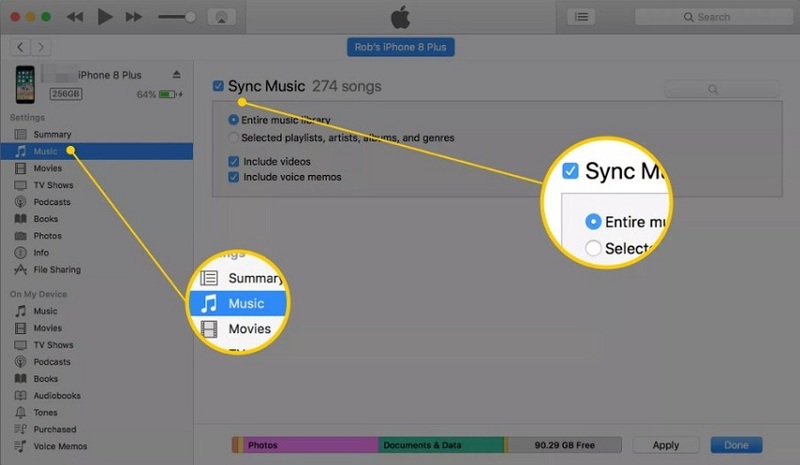 In case, you want to perform a selective transfer, you can also use the manual method to sync the files between iTunes and iPhone. To configure the manual syncing, you can follow the steps given below. But before you carry out the manual transfer, you need to turn off the Auto-Sync feature form the Music tab. Step 1 : Click on the Summary tab and scroll down to the Options tab. In the tab, you will find the Manually Manage Music and Videos option. Step 2 : Now you can access the iTunes library and select the songs that you want to transfer to your iPhone under the Library section. You can further select the Albums, Artists, and Genres to find the songs that you want. 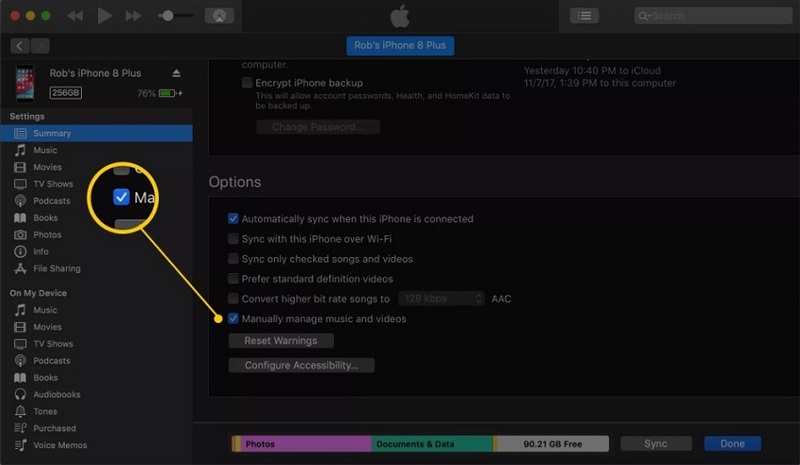 Step 3 : After you’ve selected all the files that you want, use the drag and drop method to copy files from the iTunes library and move them to the iPhone storage. The transfer will take some time depending on the number of files that you are about to move. But as you can clearly see how typical the process is, it is very unlikely for the users to use Manual transfer mode. As you can see both iTunes and iMusic is capable of transferring songs from iTunes to iPhone and vice versa. But even after you learn how to move songs from iTunes to iPhone, a big question remains unanswered. Which software is better? To understand this, you can look upon this comparison table and decide for yourself which tool is more suitable for your requirements. Conclusion: Well, it is pretty clear from the above comparison table that iTunes lags in some features. Thus, it will be better if you use iMusic to move songs from iTunes to iPhone and for other iTunes functions too. 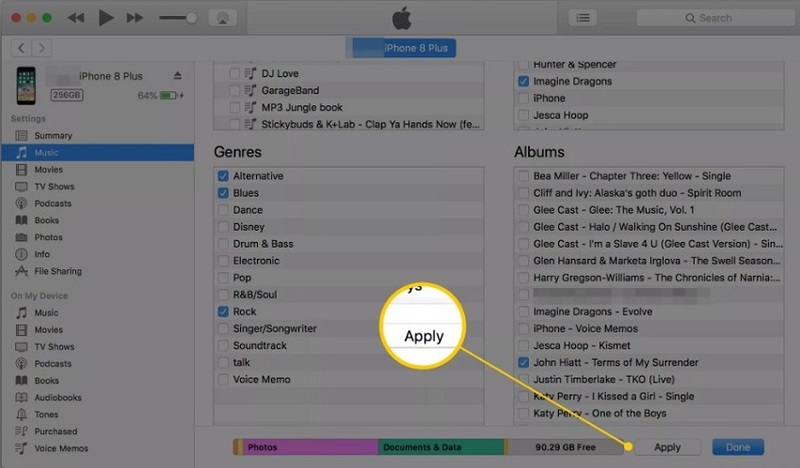 The iTunes application can come in handy with the advanced features it includes. But when it comes to handling the music files without any error, then you can rely on the iMusic software without any doubt.